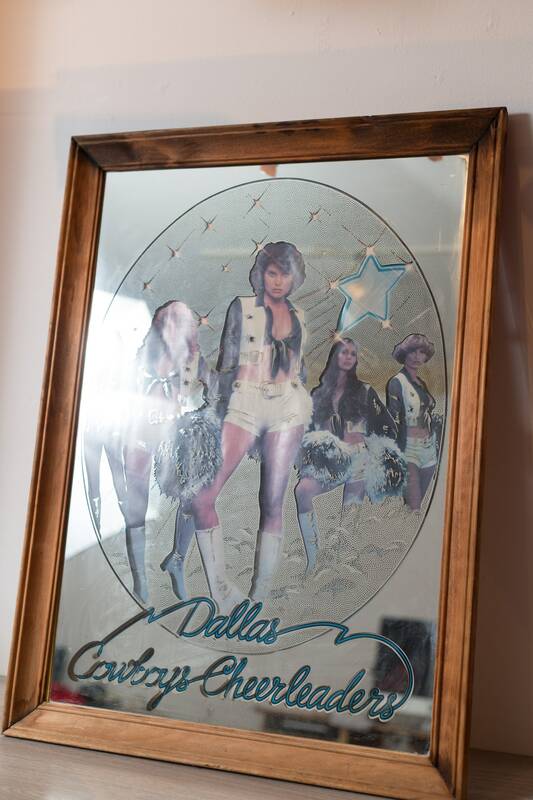 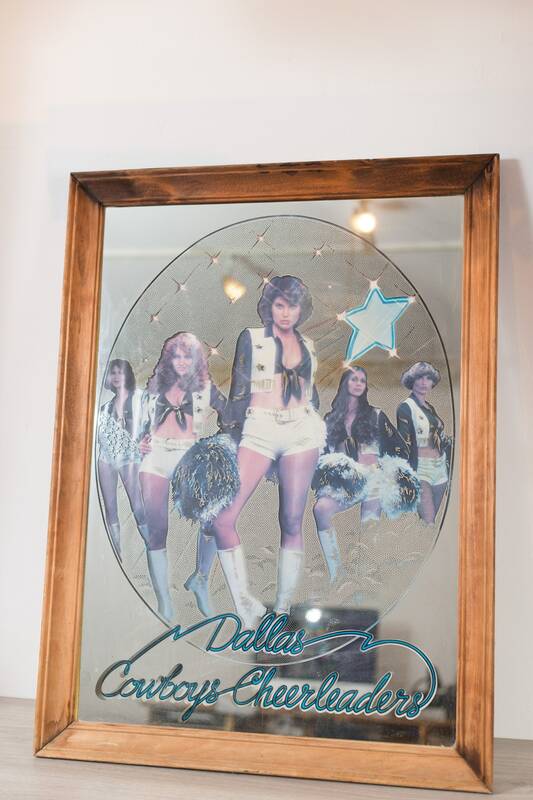 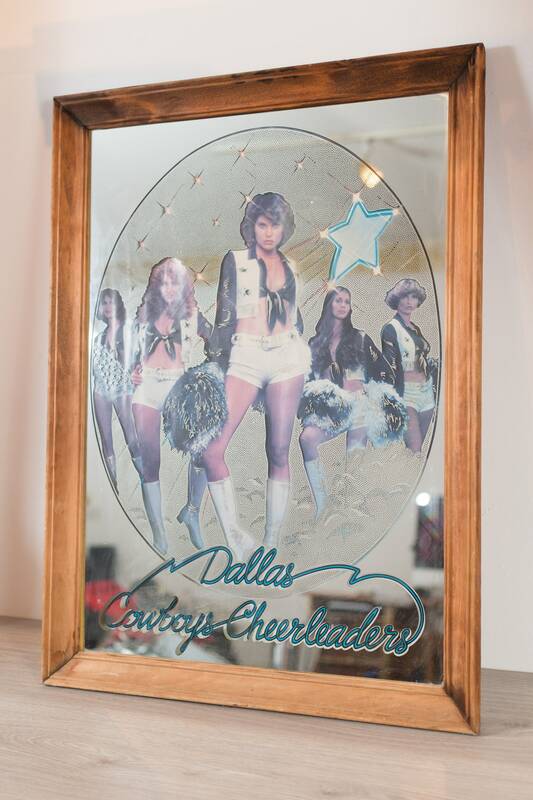 This is a wicked vintage Dallas Cowboys Cheerleaders mirror! 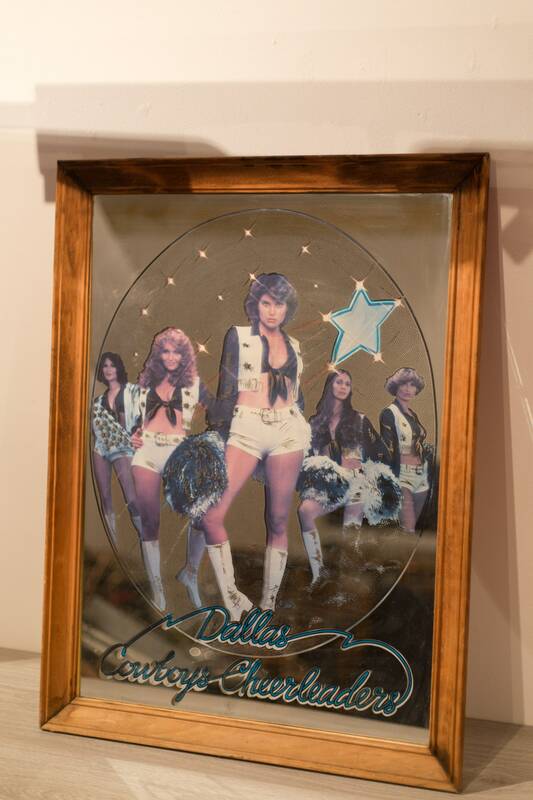 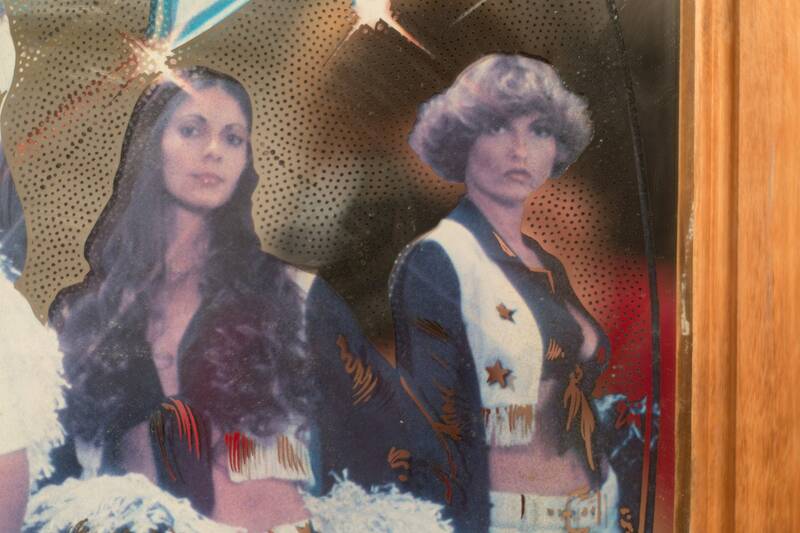 There is a poster at the back of the mirror and it shows through the mirror, which is shaped around the women and text in the print. 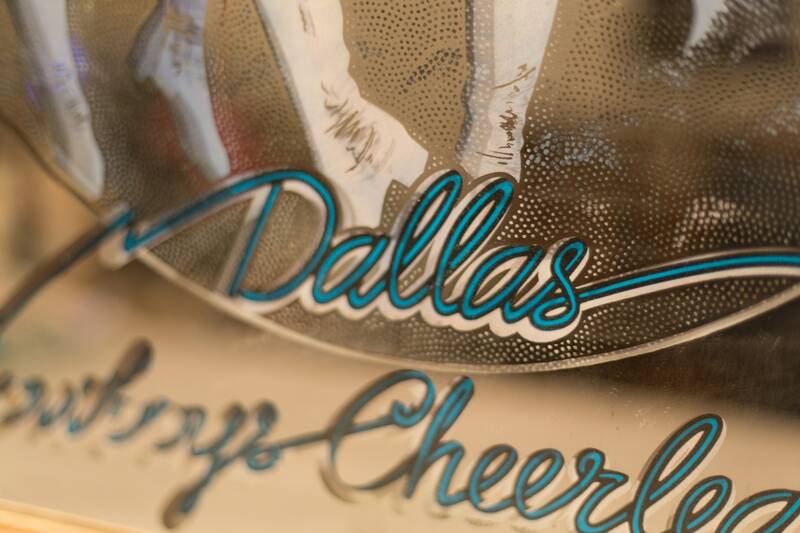 Shipping is available to the USA and Canada only.